The biggest tenant in Manhattan is getting even bigger. WeWork signed a 47,000-square-foot lease at 145 West 45th Street, according to the company. The lease is across five floors of the Times Square building, which is owned by Isaac Chetrit’s AB & Sons. 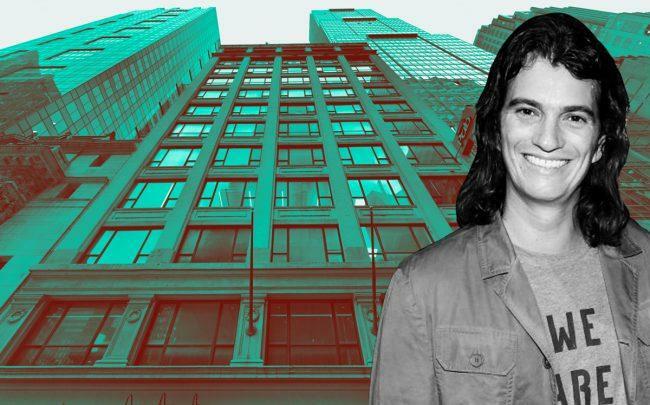 Granit Gjonbalaj, WeWork’s chief real estate development officer, said the new lease would allow WeWork to target medium-sized companies. “This adds to our growing presence in the heart of Midtown Manhattan and will allow us to meet the exceptional demand we’re seeing for this fast-growing offer,” he said. Chetrit’s AB & Sons bought the 90,000-square-foot building in 2015 for $55 million, according to property records. He did not respond to a request for comment. WeWork announced in September that it had become the largest office tenant in Manhattan with 5.3 million square feet of space at the time. 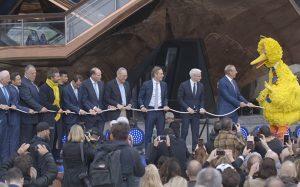 The firm inked a lease for about 200,000 square feet at 199 Water Street in the Financial District earlier this year. WeWork also recently acquired the office management startup Managed By Q, a platform that office tenants can use to hire staff such as cleaners, receptionists and IT support. A financial report from last month showed that the We Company, WeWork’s parent firm, more than doubled its revenue to $1.82 billion last year while also doubling its losses to almost $2 billion.